Our Jersey Ball Series offers fun trophy designs that are perfect for soccer players of all ages! This trophy features a small figure with an oversized jersey and a soccer ball in the place of its head. Perfect for anyone who loves to play soccer for fun, to encourage team spirit and passion for the game! 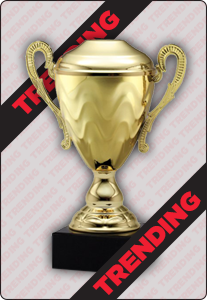 Engrave your recipients name, event details or a message to personalize this trophy.